As a LEAP Texas Faculty Fellow, I enjoy focusing on the the key learning outcomes from the Texas Higher Education Coordinating Board (THECB) and the American Association of Colleges and Universities (AACU)'s Liberal Education and America's Promise Initiative. 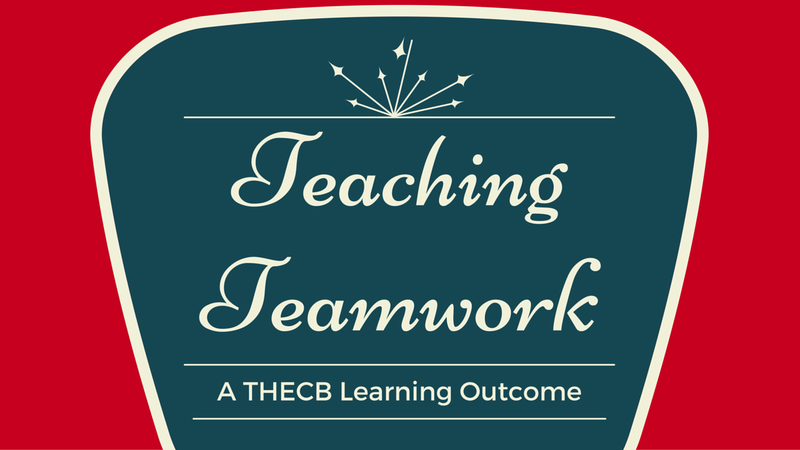 Our key learning outcome for the Spring 2016 semester was TEAMWORK! This is definitely one of my favorites because I incorporate teamwork in undergraduate research assignments and in graduate student presentations. In my opinion, this is one of the most important skills that a student can learn in college. They will encounter teamwork for the rest of their lives (in the workplace, in church groups, in their friendships, and beyond)! 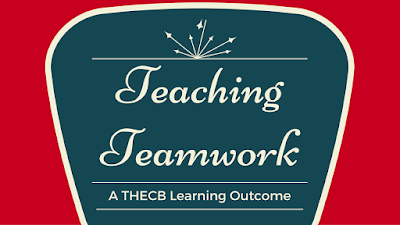 In fact, the National Association of Colleges and Employers cites teamwork as one of the most important skills that students can learn in college. In March, I had the pleasure of interviewing Dr. David Blanke from Texas A&M University Corpus Christi at an annual teaching and learning conference in Texas. I loved his answers about teamwork!